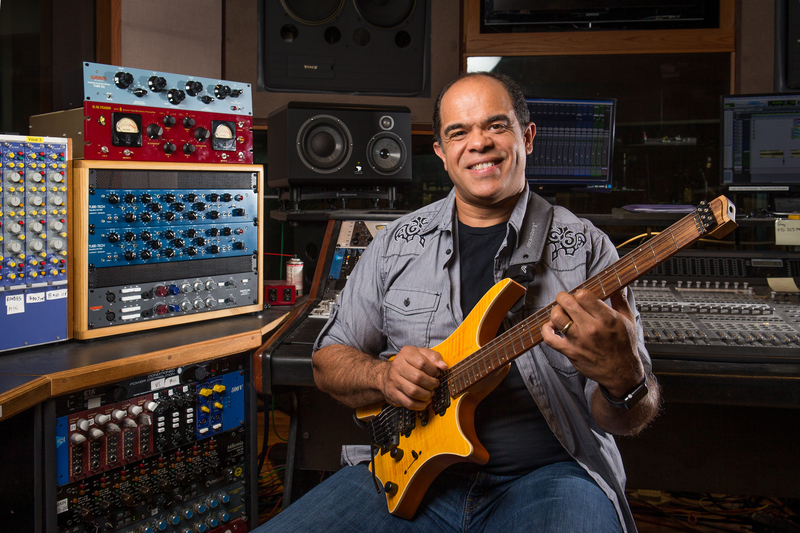 Socrates Garcia is a composer, arranger, producer, recording engineer, bandleader, guitarist, and educator from the Dominican Republic. He currently is Associate Professor of Music and Director of Music Technology at the University of Northern Colorado, where he teaches a variety of courses in music technology and Advanced Jazz Arranging. As an arranger/producer and recording engineer his work is found on numerous albums and a myriad of side-projects. Garcia’s recording and/or performing credits include the album Yo Por Ti by Puerto Rican artist Olga Tañon, Grammy Award winner as Merengue Album of the Year 2001; Milly Quezada’s Tesoros de mi Tierra, which reached number 14 on Billboard’s Tropical Song charts; and national and international performances with the Socrates Garcia Latin Jazz Orchestra, among others. As a guitarist or keyboardist, he has performed in many Latin-American countries, including Mexico, Colombia, Venezuela, Bolivia, Costa Rica, Aruba, and throughout the Dominican Republic. He has presented clinics and workshops on music technology and/or jazz composition/arranging, nationally and internationally. Garcia and the Socrates Garcia Latin Jazz Orchestra have also performed nationally and internationally, including concerts at several Jazz Education Network’s conferences, Vanderbilt University (with the Blair Big Band), Dominican Republic’s Restoration Jazz Festival, and at the top-100 Jazz Club Dazzle Jazz, among others. His large jazz ensemble music has been performed by top university/college jazz orchestras including Manhattan School of Music’s Latin Jazz Orchestra, UNC Jazz Lab I, California State University Long Beach’s Concert Jazz Orchestra, the Big Band of the National Conservatory of Music of Santo Domingo, and Vanderbilt University’s Blair Big Band. Previous to his current position at UNC, he served as Adjunct Professor of Music at Middle Tennessee State University and, from 2000 to 2005, taught Jazz Harmony and Theory at the National Conservatory of Music of Santo Domingo. His latest album, Back Home (MAMA Records), performed by the Socrates Garcia Latin Jazz Orchestra, is a symbiotic combination of Afro-Dominican and Afro-Caribbean genres within the aesthetic of contemporary orchestral jazz. An award winning album, it has received numerous accolades by critics and jazz fans alike, both nationally and internationally. Socrates is an artist/educator for Strandberg Guitars through their program strandberg.edu and Warm Audio artist. He also proudly uses Positive Grid’s Bias Amp2 and Bias FX.